One of my favourite projects over the past 2 years has been setting up and running FRESH, a contemporary artisan market for the style and design conscious, providing an opportunity for the public to meet makers and buy unique pieces, often unavailable on the high street. I am passionate about promoting contemporary craft in our fine city and have met so many wonderful and talented makers over the last 2 years. 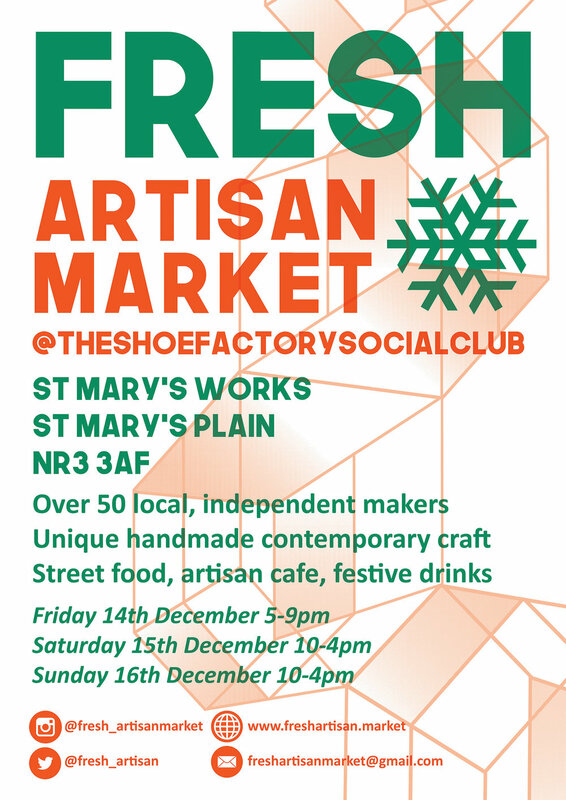 Held in in a distinctive venue at The Shoe Factory Social Club at St Mary’s works and featuring over 50 makers selling their work over 3 days, FRESH is more than just a craft market! There’s street food, a bar and music from our resident DJ DocWatson. Make a date to meet up with your friends and spend the day shopping off the high street and supporting local talent!